The Sour Kosher strain is the royal offspring of the cannabis power couple of Kosher Kush and Sour Diesel. The resulting buds are extremely potent and encrusted in crystalline trichomes. 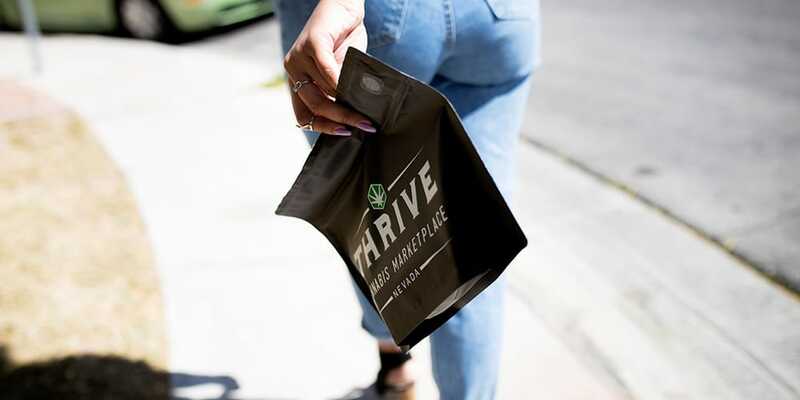 This makes them the perfect base for Thrive Cannabis Marketplace’s Sour Kosher Live Resin Vape Cartridges available at both our Downtown and North Las Vegas dispensaries. DNA Genetics, a legend in the top shelf cannabis cultivation community, is responsible for the breeding of Sour Kosher. The lineage of the strain contains several powerhouse names that read like a celebrity marijuana family tree. Sour Diesel’s story begins as an international amalgam of Columbian Landrace, Afghani and Acapulco Gold Landrace strains. These created the first Skunk strain, whose genetics were eventually bred into Massachusetts Super Skunk. Legend has it that a grow-op had perfected New York City Diesel from its Chem Dawg (Chemdog) parents when MA Super Skunk accidentally pollinated the crop. This happy accident resulted in Sour Diesel-The pride of NYC. Kosher Kush is an indica and is considered one of the best tasting and most pungent derivatives of OG Kush around. It was the winner of High Times’ Cannabis Cup for two straight years and also won Best Strain of 2011. Kosher Kush is the only strain known to be grown in kosher conditions where a rabbi blesses the seeds and resulting adult plants. WHY CONVERT SOUR KOSHER TO OIL CARTRIDGES? Sour Kush Concentrates are considered superior in flavor to their combustible counterparts, and the high is more cerebral and less “stony” according to many Sour Kosher strain reviews. We’ve taken these concentrates to the next level by providing them in cartridges that are compatible with any 510 sized battery. We love our Live Resin vape cartridges for many reasons. They’re easy to use. Simply screw the cartridge into any 510 battery or box mod and enjoy. No lighter or complicated paraphernalia are necessary. They’re portable and discrete. Grab and go without worry of odor or the obvious signs of cannabis. They’re easy to dose consistently and responsibly. Push the button for as long as it takes, inhale, and repeat as necessary. Our Sour Kosher extract is crafted with full terpene retention and prime potency. Expect intense flavors of citrus, wood, and diesel. The effects are well balanced, leaning to the side of an uplifting sativa experience. It comes on rapidly and can be somewhat “heady” at first. As the effects Sour Kosher effects progress, a warm, physical body stone increases offering superior pain and anxiety relief. You’re going to love Thrive Cannabis Marketplace’s Sour Kosher Cartridges. Contact us for more information, or stop by one of our dispensaries to try it for yourself!